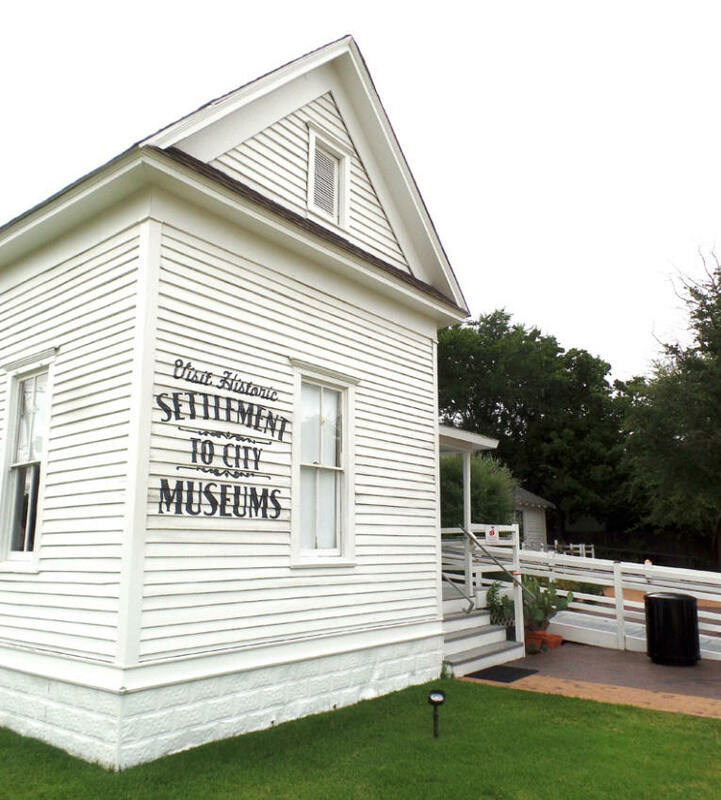 Grapevine is one of the oldest settlements in Texas and as such it's sites and attractions chronicle the state's history in a unique way. 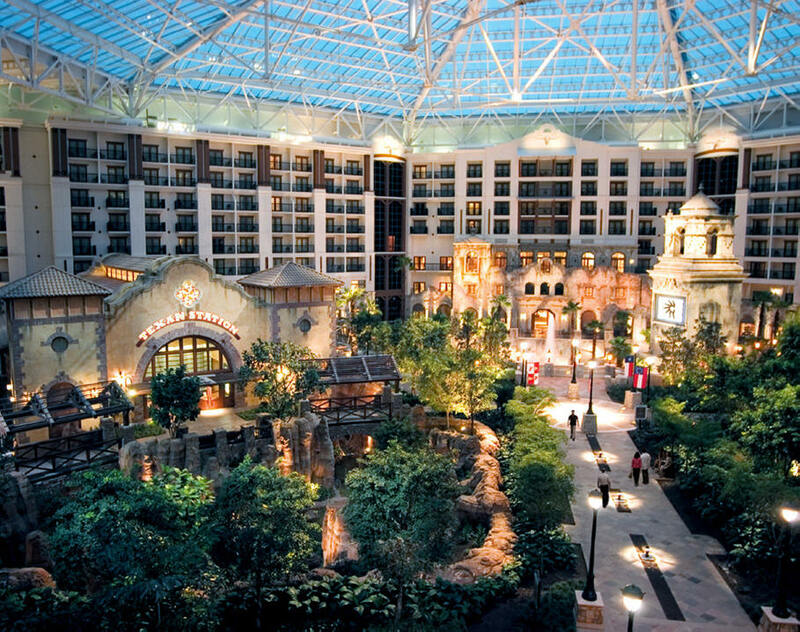 Simultaneously the city manages to be thoroughly modern with more than 200 restaurants and 20 hotels (see Gaylord Texan) designed to fit every taste and budget. 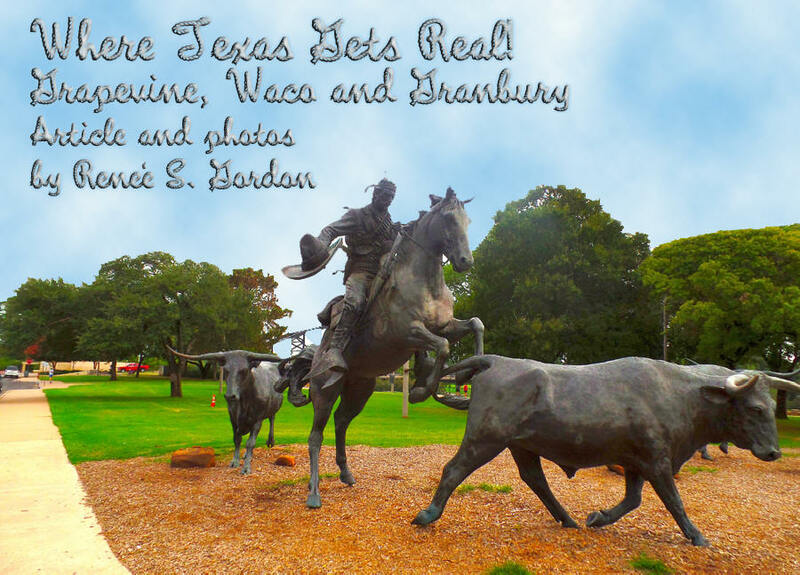 Grapevine is located a few miles from Dallas Forth Worth Airport (DFW) entrance and is a great destination, hub for travel throughout the state or day trip from the airport. Organized tours are available from DFW that are a perfect adventure during a layover. 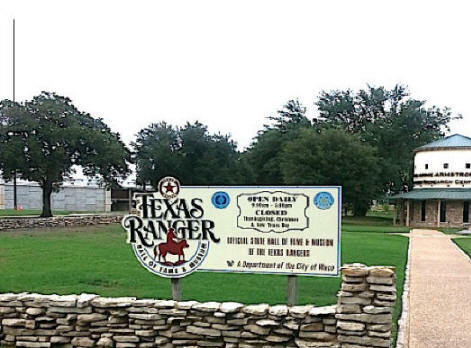 In 1843 Sam Houston led a group to Tah-Wah-Karro Creek, Grape Vine Springs, to open the Texas frontier for US settlers. Ten regional indigenous nations met and signed a treaty. Homesteaders immediately poured into the area, largely from the southern states, bringing their slaves with them. Grape Vine was established the next year and named after the wild grapes that grew there. One of the first sites visitors see is the 9/11 Flight Attendants Memorial, dedicated on July 4, 2008. Dean Thompson sculpted the bronze tableau that consists of five figures, two pilots, two flight attendants and a child clutching a teddy bear. The 14-ft. figures represent the 33 crew members who lost their lives on 9/11. The 12-ft., white Texas limestone, base faces west with the crew's names etched around it. The flights involved were American flights 11 and 77 and United flights 93 and 175. The memorial is situated so that it can be seen by DFW flights. Grapevine's Main Street is a National Registered Historic District and the 6-block street has more than 60 sites of architectural and historic importance. Many of the structures date from the early 1900s when brick buildings were erected in place of existing wooden ones. Highlights of the self-guided tour are the 1888 building that was once a bank robbed by Bonnie and Clyde and the Great American West Gallery that exhibits more than $1-million in western art. There is debate about Bonnie and Clyde's participation in the bank robbery but there is no doubt about the events on Easter, April 1934. Bonnie's mother lived in Dallas and the gang drove through the area often. On this Sunday they parked their car, reasons are unclear, and were approached by two troopers. They killed both men. The Wheeler-Murphy Monument has been placed at the site. 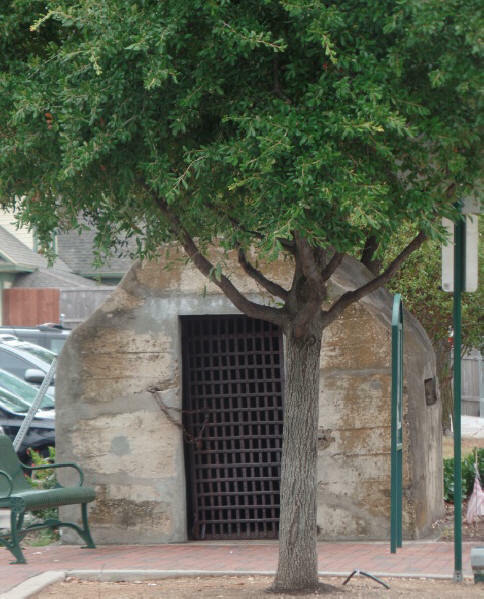 The relocated Grapevine Calaboose, Spanish for dungeon, is located on Main Street and was in use from 1909 until the 1950s. This one-room, stone, jail was used for overnight incarceration until felons could be transported to a larger facility. Members of Clyde's gang were held here. 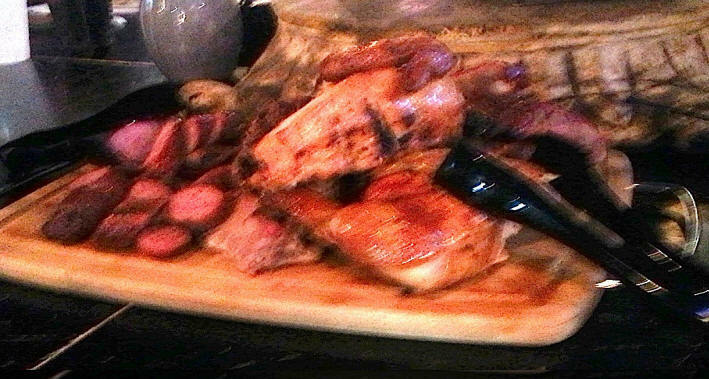 It is considered the best-preserved original "calabozo" in the nation. Grapevine's shiniest gem is its 75-ft. tall Glockenspiel clock tower over the Convention and Visitors Bureau. Twice daily two 9-ft. cowboys exit the doors and reenact Nat Barrett and Willy Majors' train robbery and gunfight complete with animation and dialog. Computers select the winner. Best views are obtained from a viewing plaza across the street. The railroad came to Grapevine at the end of the 19th-century and the spirit of that experience continues with rides aboard the Grapevine Vintage Railroad on the Cotton Belt Route. An 1896 steam locomotive is one of two vintage locomotives that pull the Victorian coaches. 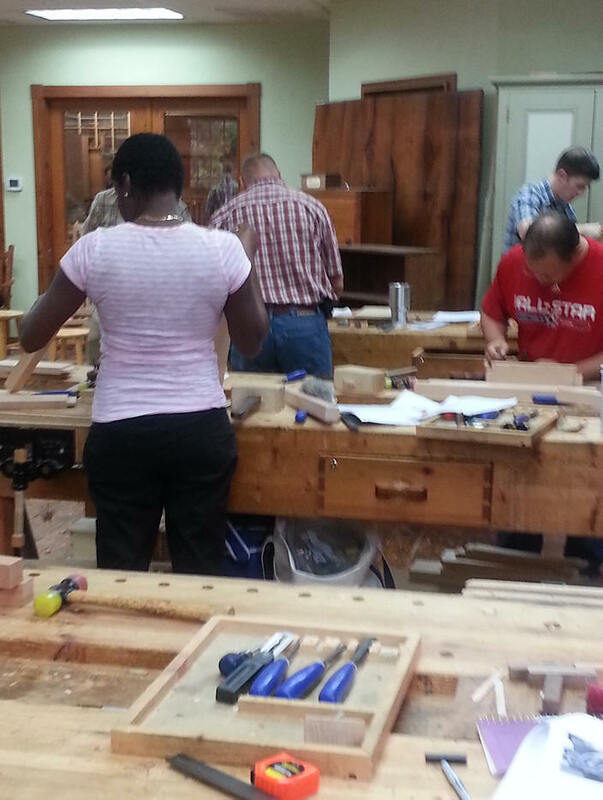 Special events, wine tours and rentals are regularly scheduled. Grapevine was named a "World Festival & Event City" in 2012. The city puts on events, fairs shows, parades and festivals throughout the year and 40 days at year's end it is known as the Christmas Capital of Texas hosting more than 1-million visitors. 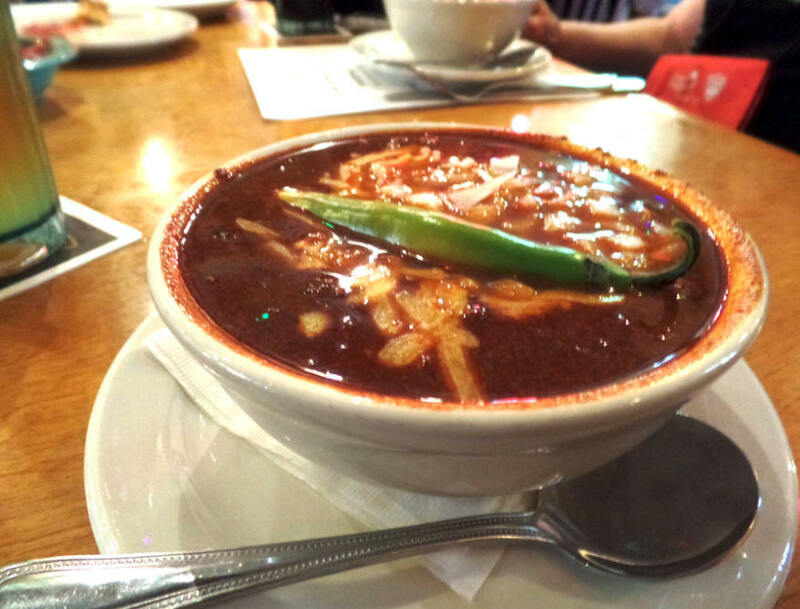 Do not leave the area before stopping at Tolbert's for a bowl of their award-winning chili. For 50 years this restaurant has been wowing locals and visitors alike. It should be noted that historians state that nonindigenous Texas history begins with North African Estevanico who was part of the 1520s Spanish expeditionary forces and later crossed the territory alone. Under Spanish rule Texas' population was 15% black and in 1836, when Texas became a republic, there were 13,000 people of African descent. 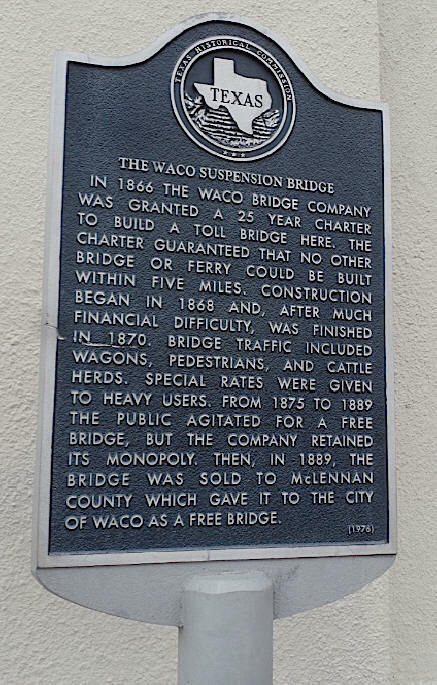 Most early Waco citizens were either born in the southern states or were native Texans and the city, as the state, was firmly on the Confederate side. After the war Waco felt the economic impact of the loss of enslaved labor. 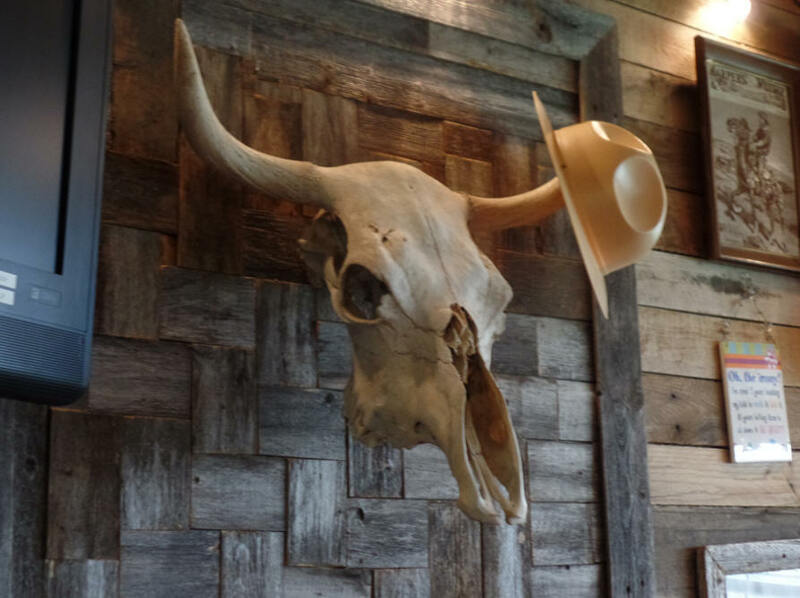 Waco recovered as part of the Chisholm Trail, a route used by cowboys to herd the cattle to stockyards and railheads. The city became a transportation hub and supply point for cattlemen and settlers heading further west. 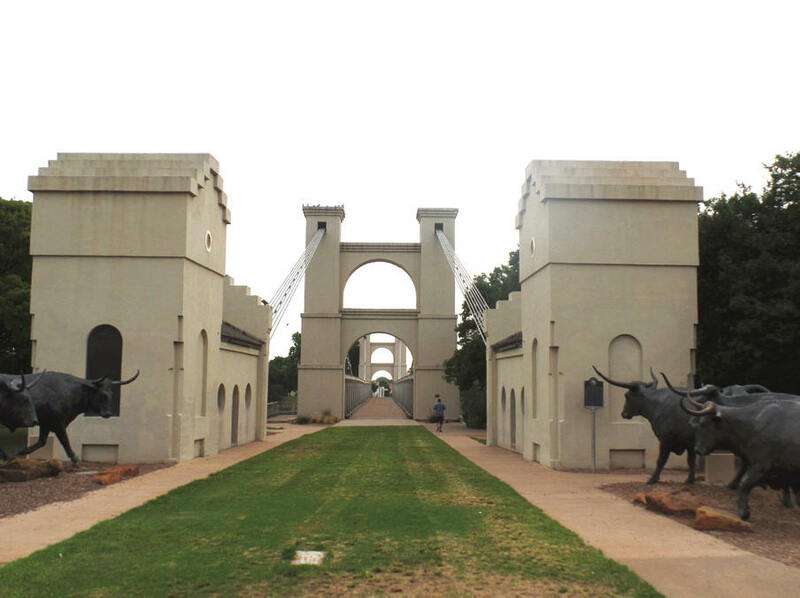 Waco Suspension Bridge was built in 1870 and was the first single-span suspension bridge to cross the Brazos River. The 1870 bridge is 475-ft. long has been free since 1889 and in 1971 it was closed to traffic. Panoramic views of the city can be obtained from the middle of the bridge. It was placed on the National Register of Historic Places in 1970. 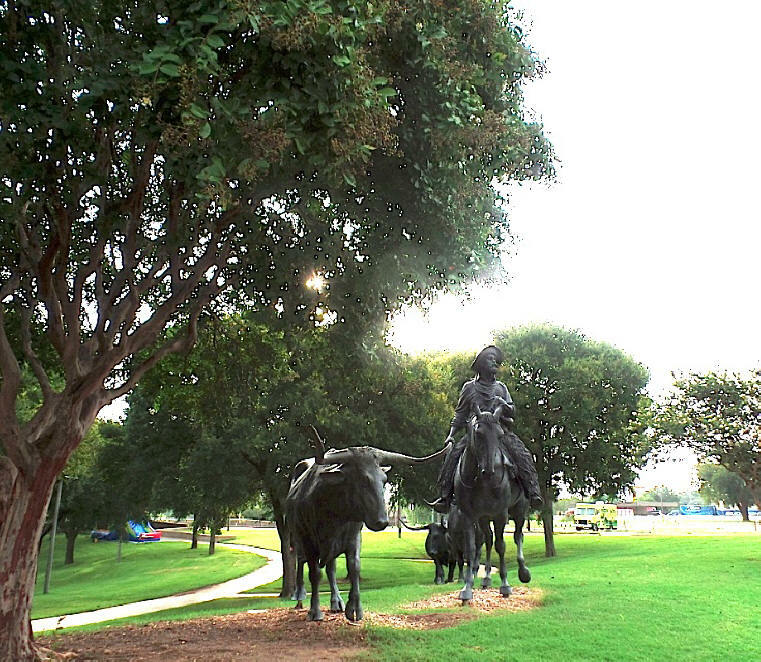 Located on the north side of the bridge is a bronze sculptural diorama, "Branding the Brazos," that depicts life on the trails that ran in or near Waco, the Chisholm, Shawnee and Western Trails. 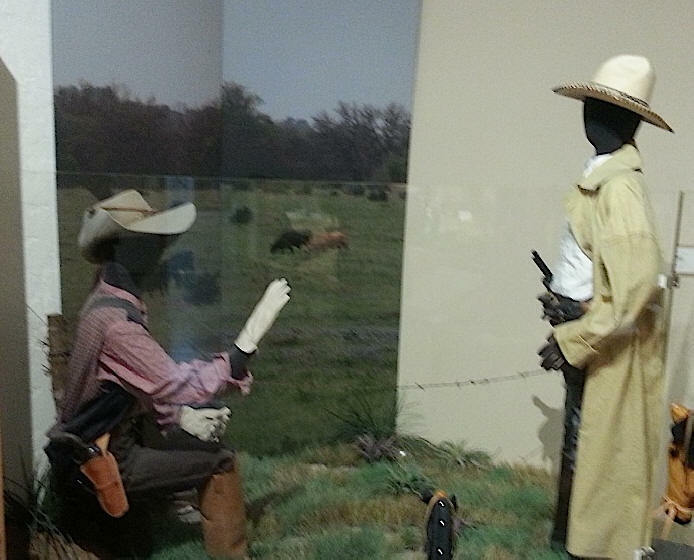 The three figures represent the groups that drove the cattle, a Hispanic vaquero and an African American and a European. The men are based on actual cowboys and such attention has been paid to detail that their saddles are tooled, the vaquero dons a bandolier and the spurs spin. The figures are larger than life and there are more than a dozen steer strung out along the walkway, each weighing 1,200-lbs. In 1885 Waco pharmacist Charles "Doc" Alderton created Dr. Pepper, a carbonated soft drink and in 1904 the drink was served to millions at the St. Louis World's Fair. It remains the oldest major manufacturer of soft drink concentrates and syrups in the nation. 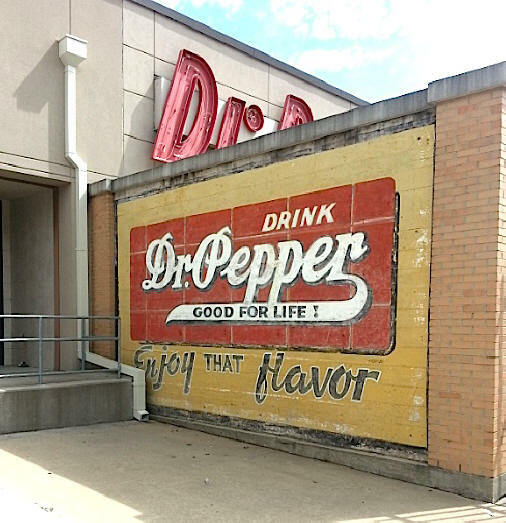 The Dr. Pepper Museum related the history of the soft drink through restored vehicles, soda wagons and a 7 up bottling line. (More about musuem) Must stops include the gift shop and soda fountain. 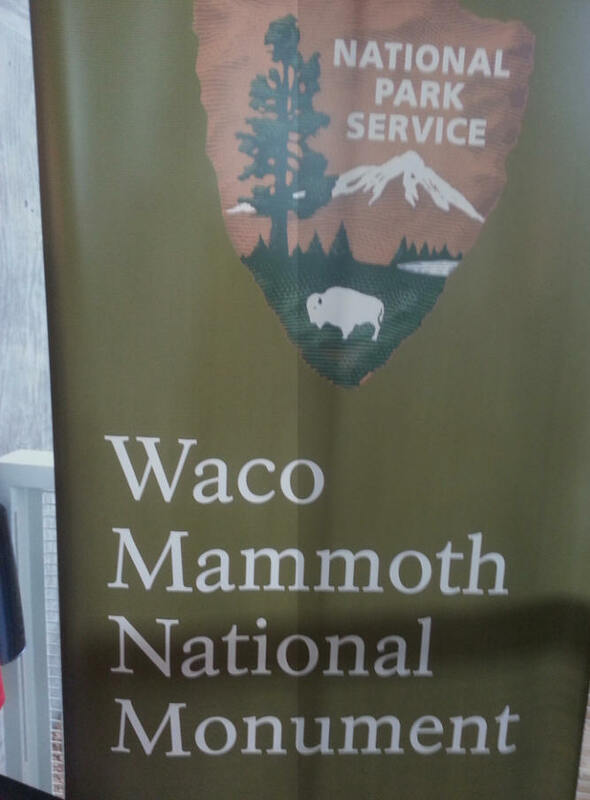 President Obama designated Waco Mammoth Paleontological Site and Museum a national monument, the only site of its type in the world, in 2015. 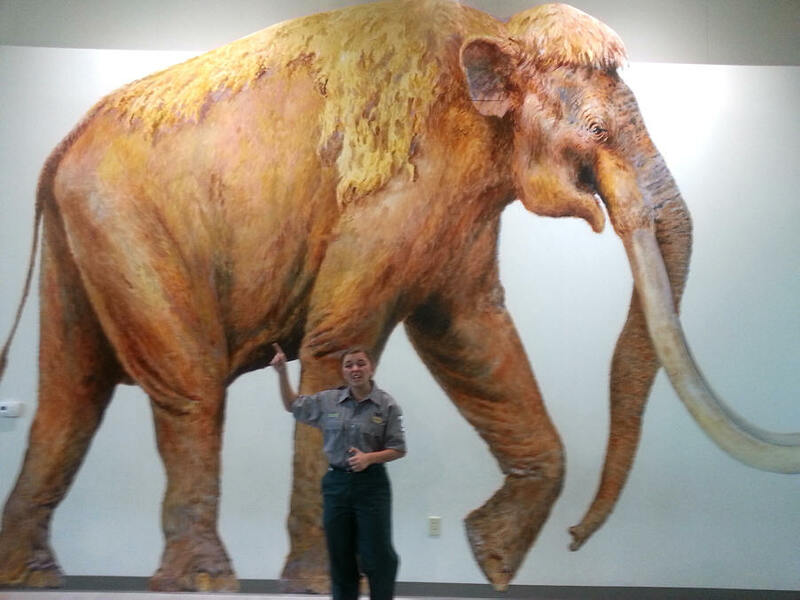 Approximately 65,000-years ago a natural event, probably a flash flood, killed a nursery herd of Columbian Mammoths. The site was discovered in 1978 and excavated 1984-2001. Granbury, Texas, in Hood County, is scenic, historic and filled with dining options, shopping opportunities and outdoor activities. 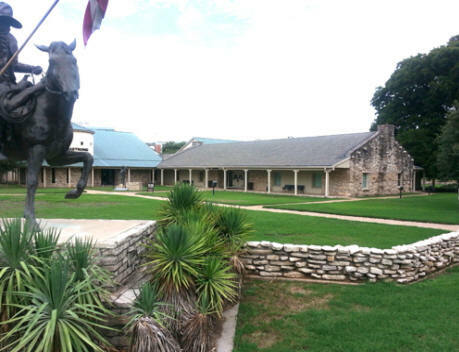 It is also unique as a destination because Granbury is notorious for the number of sites believed to be haunted and the number of famous, quirky, residents who have called it home. 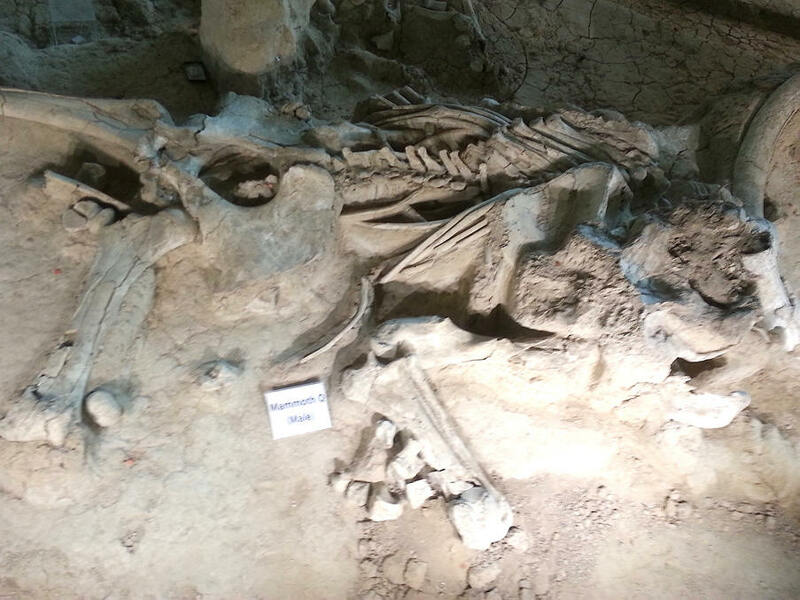 The earliest of these notable residents were dinosaurs who lived near an ancient ocean. The first humans to settle the area were Native Americans and it was they that the first nonindigenous settlers encountered in 1854. At that time the area was the edge of "civilization." It was on the deadline and settlers who crossed the Brazos were in Comancheria, land of the Comanche. The land was given to the families of those who fought in the 1836 Texas Revolution. In 1846 representatives met with area tribes atop Comanche Peak to inform them that Texas was now a state and they no longer controlled the land. Comanche Peak, 1,100-1,200-ft. tall, was traditionally a sacred meeting place and a site for smoke signals. Forty-acres on the Brazos River were given in 1866 to plot the town and it was named for a Confederate general. A 16' X 16' log cabin Hood County Courthouse was built on the square followed by a 2-story stone structure. After the first two burned a Second Empire courthouse was constructed in 1890 for $40,000. 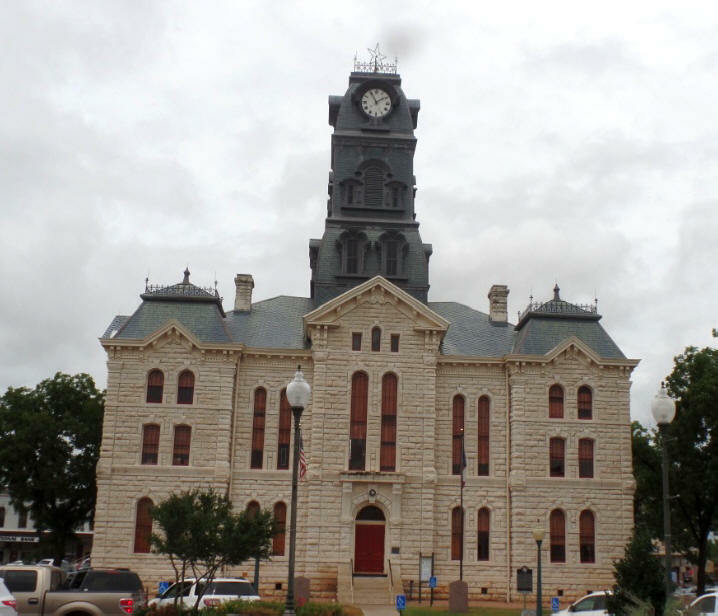 The 3-story courthouse was made of Brazos limestone with an illuminated clock tower. The working Seth Thomas clock is still hand wound. The courthouse is listed on the National Register. Elizabeth Crockett, widow of Davy, moved to the area with her family to settle on the 1,280-acres awarded to Davy for his wartime service. Elizabeth died there in 1860 and is buried 5-miles from the town square in Acton State Historic Site in what is the smallest state park in Texas. The park measures .01-acres and the gravesite is 12' X 21'. A 28-ft. monument of a female pioneer marks the grave. Directional signs lead to her grave in the cemetery and an interpretive plaque gives information. Two blind brothers erected the Nutt House in the 1860s as a log mercantile store. In 1891 they built the limestone structure you see today. 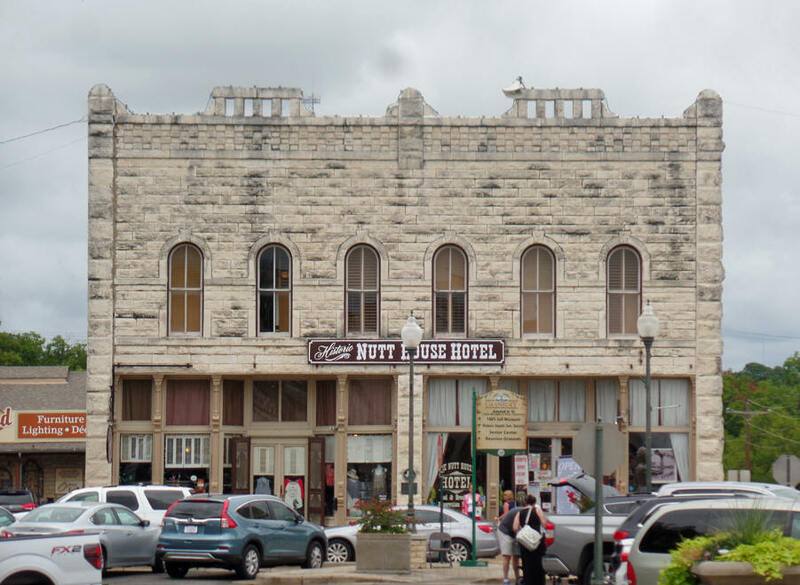 Businessmen began to stay overnight and the store became known as the Nutt Hotel. It is now a B&B with stunning architectural features. The hotel is said to be haunted by Sudie Nutt who ran the hotel. The Old Hood County Jail is a tour highlight. The original log jail was built overlooking the Brazos River in the 1850s. A 50' square limestone building replaced it in 1886 and was in use until 1978. Ironically no one was ever executed there because the ne prior legal execution so horrified the citizens that they never had another. The sheriff lived in the four rooms on the first-floor, the second floor housed a cell for women and the gallows and men were in cages in a different section. Meals were prepared in a separate kitchen in the rear. 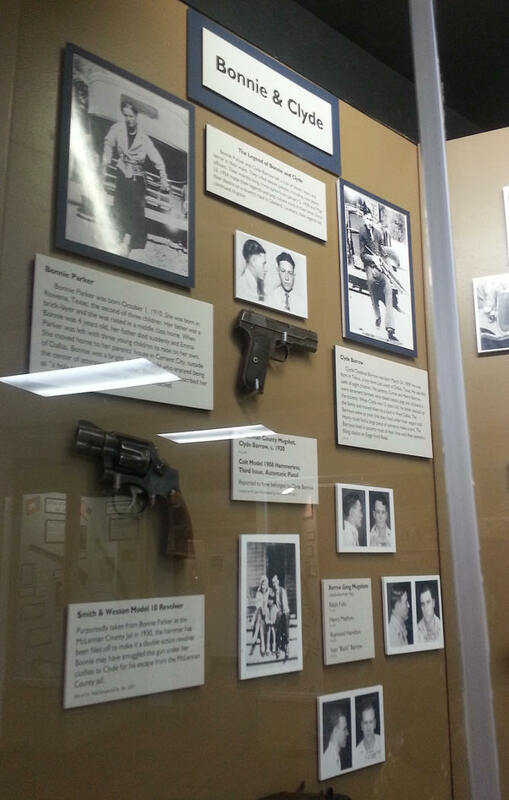 Exhibits are on view in a small museum. Ghost hunting groups often lead investigations here. 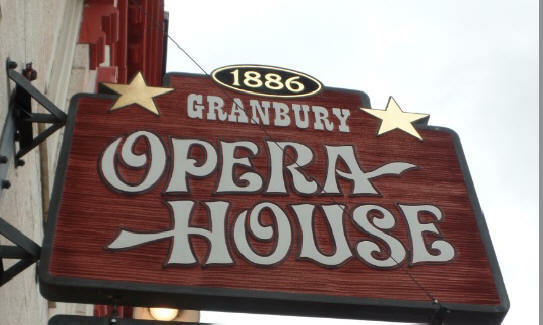 Historic Granbury Opera House dates from 1886 and is listed on the National Register of Historic Places, as is the complete town square. Originally named the Kerr Opera House, the theater was on the second level and was used by touring companies. The theater has been restored and has such features as dual curving staircases and an imported chandelier. The ghost of the opera house is a man named John St. Helen who mysteriously appeared in the town after the Civil War. In spite of a pronounced limp he acted and taught theater. It was said that he drank on only one day a year, April 14th, the date of Lincoln's assassination. 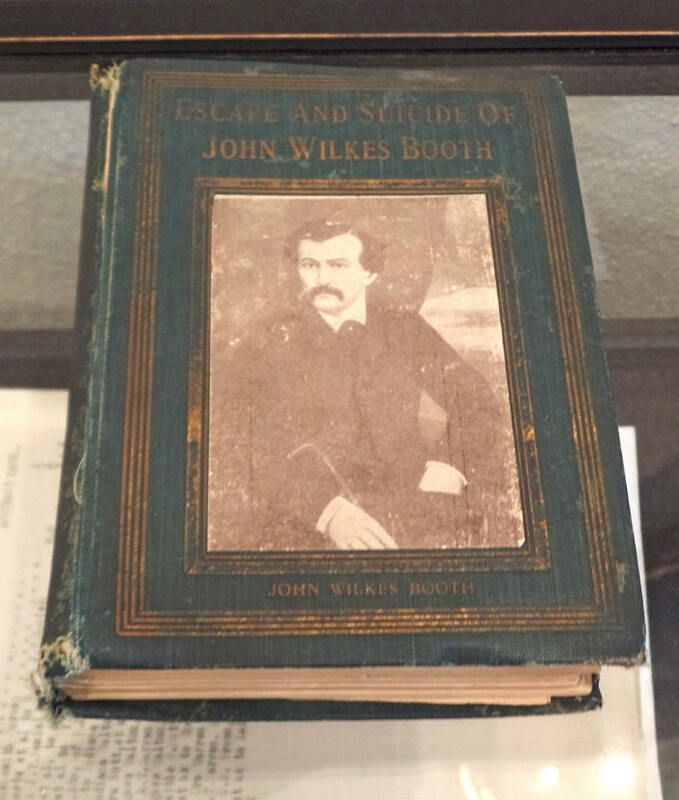 At one point he became very ill. On what he thought was his deathbed he confessed that he was, in truth, John Wilkes Booth. He recovered and left town. People have both seen and heard him walking in the balcony. In 1951 the 103-year old J. Frank Dalton died in Granbury. 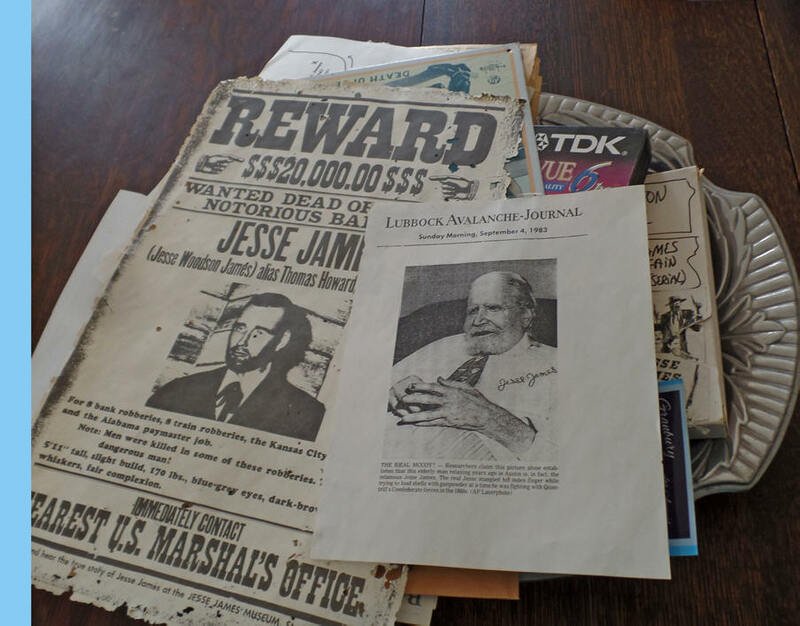 It was believed by many that he was Jesse James as he claimed. Identifying marks included 33 bullet wound scars, a noose scar and burns on his feet. He was buried in Granbury Cemetery as Jesse W. James. In 2002 papers were filed to exhume the remains for DNA testing. They disinterred the wrong body. 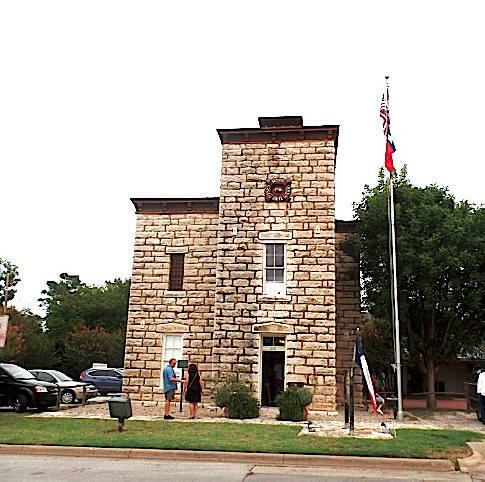 Granbury is a great destination with a "spirited" twist. 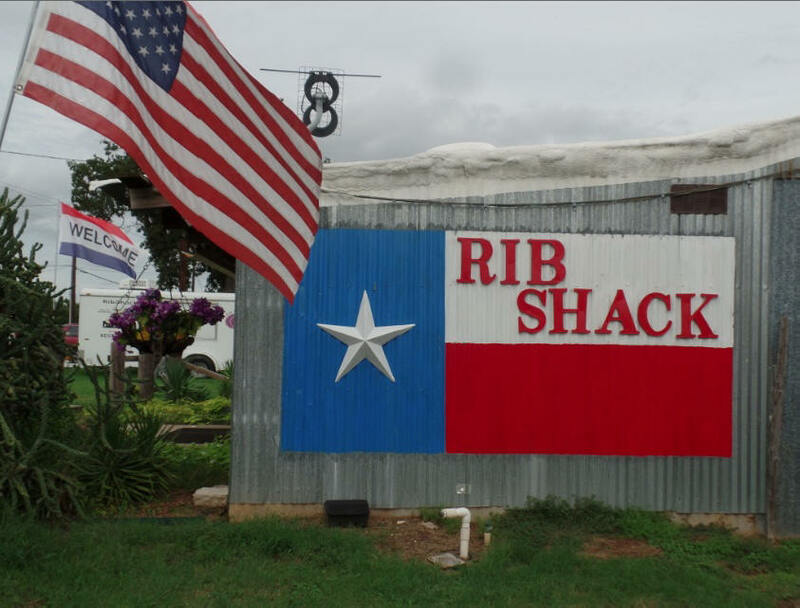 Get to know Texas in a different way.